Boys watch out! Girls are ready to take on the field! Research done by the women's sport foundation shows in 2001 about 1,500 girls played football, more than 3,000 girls wrestled and about 1,500 girls played base ball on boys' teams. Schools are now providing girls the experience of athletics — playing on a team, the sensation of mastery, and competing — when opening male teams to females. When girls play on boys' sports teams female participation and skill level is positively modified. Allowing females to compete on male teams opens more opportunities for females to participate in sports. According to "Should My Daughter Play For A Girls Team Or A Boys Team? ", "...to the extent that girls from all girls teams choose to compete with boys, overall team participation will increase for girls because it opens slots on female teams that girls not currently playing sports can fill." If girls move onto boys' teams, what do you think happens to their places on the girls' teams? They don't stay empty, but they let more girls play by giving them a spot on the team. Statistics show, "In 1971, the year before Title IX was passed, only one in twenty seven American girls played high schools sports. Now, one in three does, compared to one in two boys." (Anne Driscoll). Title IX is a law that said federal-funded schools had to provide girls the same access to sports as boys. Doing this gave girls the opportunity to play sports that they couldn't play previously even if it meant letting girls join boys' teams. 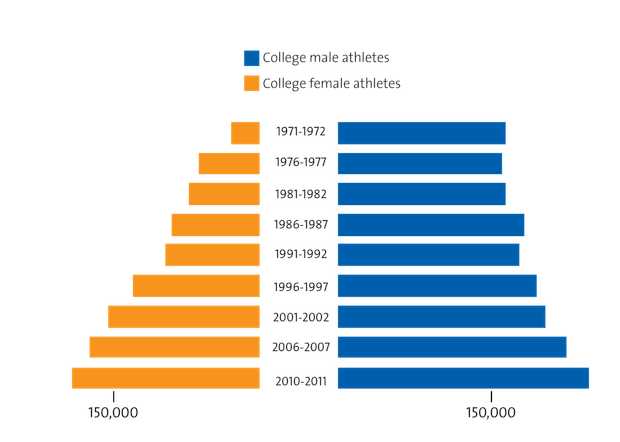 This lead to an increase in female participation in sports. "Opening boys' teams to girls should not be viewed as a loss of participation, but a broadening of opportunities for girls to compete that will only serve to expand the participation of girls in sports." (Should My Daughter Play For A Girls Team Or A Boys Team?) The expansion of girls participation is now being looked at as a positive action and demonstrates more equality for the genders in sports. There are no exceptional physiologic reasons that prove girls cannot play on boys' teams. The Women's Sports Foundation says "Pre-puberty boys and girls do not differ significantly in physiologic parameters such as height, weight, fat-free mass, girth, bone width, and skin fold thickness." The words "such as" show that there are more ways that boys and girls do not significantly differ which indicates more reasons why girls should be allowed to play on boys teams. According to "Making an Informed Decision About Girls' Participation on Boys' Teams", "...physical differences between early and late matures within each gender are often greater than the differences between the genders." Did you ever think that some individuals within the genders can be more similar to some individuals in the other gender? When competing, a player can actually have a more fair competition from the other gender than their own. Further more, "Competing groups should be organized around skill and experience. 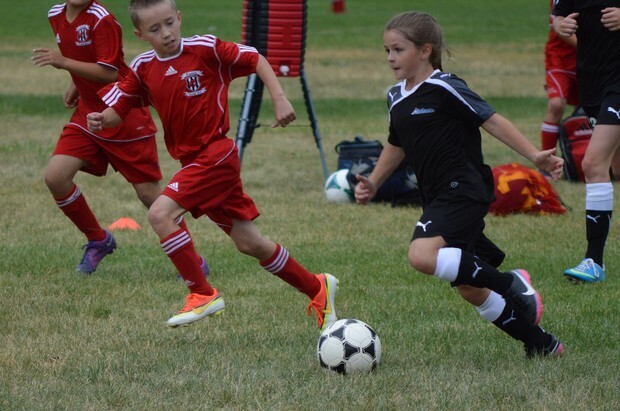 Girls and boys processing similar skills should be playing with each other and against teams consisting of boys and girls who are similarly skilled." (Should My Daughter Play On a Girls' Team Or a Boys' Team?) When playing on the field, it doesn't matter what gender you are, but how well you can play. Playing on male teams can benefit a female's athletic learning experience and player development. According to "Should My Daughter Play For a Girls' Team or a Boys' team? ", "Playing on an age appropriate boys team may help avoid issues that can accompany terms composed of players of varying ages such as wide gaps in skill and overall player development...". Playing on a team with varying skill levels and varying ages will not sufficiently fulfill the needs of a player's development. 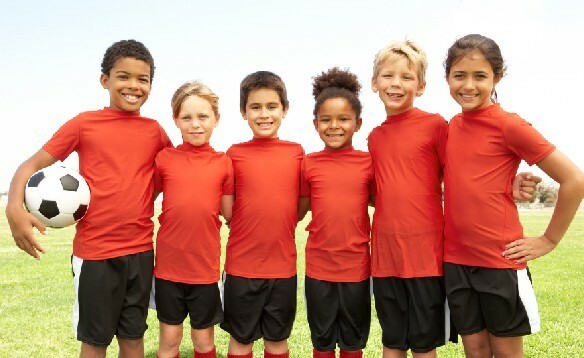 There are usually about two or more age appropriate boys' sports teams around your town, therefore "...you can pick a team that has a coaching style and player development philosophy that better fits your daughters needs" (Should My Daughter Play For a Girls' Team or a Boys' team?). If you wish to grow athletically, then selecting from boys teams can offer better learning opportunities since there are more teams with different teaching styles. Some people claim that it is unfair for girls to compete against boys and it's embarrassing for boys to loose against girls. This is under the assumption that all boys are stronger and more skilled than all girls. On male and female teams the players would be selected based on how they play. This means games would be fair for both boys and girls because the teams will consist of players at the same level. Furthermore, there will be times where males and females will be competing (for example a job promotion) and the female will win. Loosing against a girl can prepare females and males for future competition. When girls play on boys' sports teams female participation and skill level is positively modified. Girls do not get as many opportunities to play on sports teams and to prove their athletic talent as much as boys do. If teams were based on skill and talent boys and girls will have an equal chance to play on a sports team. If we do not make a change many girls will not be able to play on sports teams that weren't open to the previously. This will restrict their chances to grow athletically and increase female sports participation as easily.